What are your plans for this Easter Day in Singapore? Most of the individuals who has their families or friends living abroad make early plans for the Easter season. Several Corporate companies also mark this special occasion by sending Easter Day Hampers to their customers in Singapore. As we do every year, since 1987, Singapore Florist is ready with its special Easter Day Hampers in Singapore. Specially made chocolates, cakes, Towel Cakes along with flower bouquets, hampers consisting of wines and tonics, non-alcoholic drinks are exclusively picked for this season. Watch this quick video and click on the below images to select your favorite Easter day hampers in Singapore. This entry was posted in Florist and tagged Easter day Hampers, Easter day hampers delivery singapore, Easter Day Hampers in Singapore, Easter Hampers in Singapore, flower delivery in singapore, singapore florist on March 24, 2019 by singaporeflorist. Fruit Baskets in Singapore are one of the famous gift choices of our customers especially during special occasions such as festivals. Fruits or flowers are natural products which has limitations of durability. We thoroughly understand this and for that reason, we deliver fresh and high quality products to our customers. Flowers and Fruits ordered with us lasts longer than usual because we send only the handpicked-fresh ones since 1987. At Singapore Florist, Fruit Baskets are made and delivered with utmost care as the fruits need to be delivered fresh and intact in ordered to be enjoyed more. Most of the fruit baskets consist of Mixed Fruits, flowers, , assorted Biscuits/Cookies Basket, honey, drinks etc., We use best quality Honey with no Colorant, no Preservative and contains a high amount of nutrients. This entry was posted in Florist and tagged florist in singapore, flowers delivery, flowers delivery in singapore, fruit baskets, fruit baskets in singapore, singapore florist on February 26, 2019 by singaporeflorist. At Singapore Florist, we not only value faiths of our customers but also strive hard to meet their expectations in terms of providing best, affordable and of course, religiously prominent. Special Moon Cakes and hampers for the moon cake festivals, Diwali Hampers, Christmas, Mid-Autumn or Ramadan… whatever the festival is, Singapore Florist has the rightly suitable hampers designed exclusively for you! This month special, Singapore Florist brings to you the exclusive and carefully checked Halal Hampers in Singapore. We understand how important is having halal foods according to the faith. Be assured, at Singapore Florist, when we say Halal Hampers, it is 100% Halal. This entry was posted in Florist and tagged best florist in singapore, halal hampers delivery singapore, halal hampers in singapore, hari raya halal, singapore florist on February 20, 2019 by singaporeflorist. On behalf of Singapore Floristhttps://www.singaporeflorist.com.sg/ and its expert florist staff, we wish you a very happy valentines day 🙂 Expression is one of the important aspects of love. The better the expression, the better the event becomes memorable for life! We express our love through various means; directly, through mails, through gifts or some meaningful flowers. On valentines day, what else could convey your love better than the special valentines day flowers? At Singapore Florist, flowers delivery in Singapore on valentines day is one of the busiest days in our calendar, on which we serve hundreds of lovely valentines day flowers and gifts in Singapore. Checkout the below video and click here to surprise your loved ones. This entry was posted in Florist and tagged best florist in singapore, delivery, Florist, florist in singapore, flowers, Flowers delivery singapore, singapore, singapore florist, valentiens day gifts, valentines day flowers on February 13, 2019 by singaporeflorist. Flowers Speak louder than words! That’s exactly why you have to send Flowers on this valentine’s day! & that’s the very reason we make every bouquet with a personal touch with hand picked fresh flowers. Fresh Flowers Delivery Singapore is our promise! Flowers have a lot more to them, a completely different side including fashion and even holistic well-being! At Singapore Florist, as our caption speaks for itself, we serve gifts ‘with a personal touch’ since 1987! While we do not speak ill of our competition, what we have been doing since 1987 is to understand the trends, feelings, choice, feedback and emotional attachment of our valued customers on special days. Flower arrangements, Hampers, Gifts and add-on’s for the Valentine’s day are made not only with expertise but with passion and experience! Grab your favorite Valentine’s day Flowers in Singapore now, before someone else make them out of stock! Check out this quick video for the Valentine’s day Gift Ideas.. This entry was posted in Florist and tagged bouquets, florist in singapore, flowers, flowers delivery, hampers, singapore florist, valentines day, valentines day gifts on January 26, 2019 by singaporeflorist. So, are you planning to send some exciting and unique gifts on this Chinese New Year day? Sending flowers and hampers is always a very good choice as they symbolize freshness and celebrations respectively. Have you thought of sending a Plant symbolizing a new beginning in a new year? Well, if you did, do not wait for tomorrow! Singapore Florist, serving Gifts with a personal touch since 1987 brings to you a wide range of meaningful Chinese New Year Plants, available to send to your loved ones in Singapore! This entry was posted in Florist and tagged Chinese New Year, chinese new year hampers, chinese new year plants, florists in singapore, flowers delivery, Flowers delivery singapore, gifts, hampers, Hampers Delivery, singapore florist on January 18, 2019 by singaporeflorist. Chinese New Year, 2019 being the year of Pig is to start from 5th February 2019. Being one of the famous place for Chinese New Year Celebrations, Singapore is getting ready with the pre-celebration arrangements. At Singapore Florist, we are all set ready to deliver customized Chinese New Year flowers and Chinese New Year Hampers to your loved ones in Singapore. With our continued efforts to make the flower bouquets / hampers affordable across many ranges, hampers are available starting just SGD$88.00 only! You can chose from wide variety of Chinese New Year Hampers consisting of traditional Chinese Cakes, Tonics, Teas, Fruits and nuts etc., What are you still waiting for? Order your choice of Chinese New Year Hampers in Singapore today to avoid last minute stock availability issues! This entry was posted in Florist and tagged best florist in singapore, cheap, Chinese New Year, chinese new year hampers in singapore, flower delivery singapore, flowers, gifts, hampers, singapore florist on January 11, 2019 by singaporeflorist. 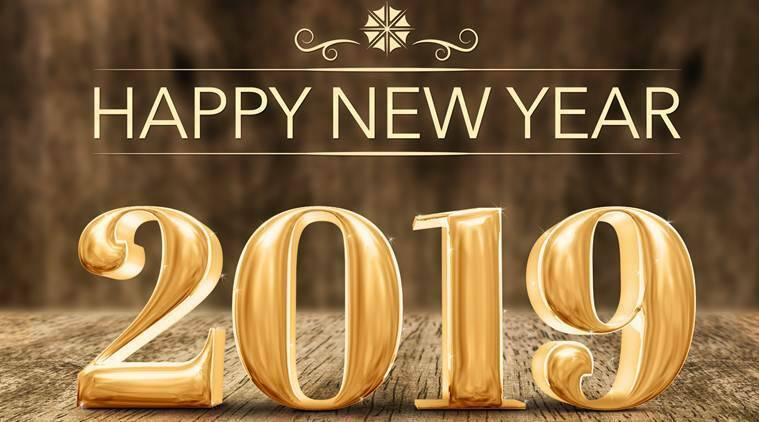 On behalf of our expert florists at Singapore Florist boutique, serving gifts with a personal touch since 1987 we wish all our valued customers a very happy and successful new year 2019. The year of 2018 has given us a great success, sweet memories while sending precious flowers to their loved ones. We enjoyed writing your special message to your loved ones on the cakes you’ve ordered, flower bouquets you’ve sent, plants you’ve gifted and many more. We learnt what our customers expect and we have noted all the minute details, very carefully! in the coming year 2019, our designs are updated to your expectations and we compete with ourselves! Thanks to everyone for your extended trust in us and giving us a chance to deliver flowers in Singapore on many occasions. For fast Flowers Delivery Singapore, we are always ready! This entry was posted in Florist and tagged best florist in singapore, florist in singapore, Flowers delivery singapore, singapore florist on December 31, 2018 by singaporeflorist. Singapore Florist has already started taking orders for Hampers and Flowers Delivery in Singapore for Christmas 2018. Celebrate with the freshest seasonal stems that will bring a touch of magnificence to any Christmas festivity. Gifts and hampers are always special when you send them to your loved ones during the festive season. For this Christmas, sprinkle a little Christmas magic with a beautifully festive Christmas bouquet of fresh flowers. At Singapore Florist, we make the bouquets with personal touch. We take our past years experiences, feedback into account to make the most beautiful arrangements to multiply your happiness. To make things even merrier, our Christmas floral gifts come with FREE delivery and our freshness guarantee so they can enjoy their Christmas flowers for even longer. Adding a personal message to the Christmas Hampers in Singapore you send will make the day more and more remembered. You can write your message while ordering, and we will ensure the message is delivered along with the fresh flowers and hand picked hampers. This entry was posted in Florist and tagged christmas flowers in singapore, christmas hampers, florist in singapore, flowers delivery in singapore, singapore florist on November 28, 2018 by singaporeflorist. Most of us send flowers to our loved ones, our friends and family on their birthday. While sending flowers in itself is a very good surprise and exciting for the recipients, sending meaningful flowers and flowers related to their Zodiac Sign can be more interesting. This month, people who has their birthday’s fall in two different zodiac signs; Scorpio and Sagittarius. Red Color flowers, generally Red Roses, Bouquets with Ginger flower arrangements are choice of flowers for Scorpions who’s date range are shown above. At Singapore Florist, you can chose the best Red Color flowers with a simple search. Check out the exclusive red color flower delivery Singapore. Red Carnations represent admiration, love and affection. Carnation is the birth flower for those born in the month of January along with people who are born in Zodiac Sign – Sagittarius . Checkout exclusive carnation flowers in Singapore only at Singapore Florist website. This entry was posted in Florist, Flowers of Horoscope and tagged best florist in singapore, florist in singapore, Flowers delivery singapore, horoscope flowers in singapore, singapore florist on November 9, 2018 by singaporeflorist.